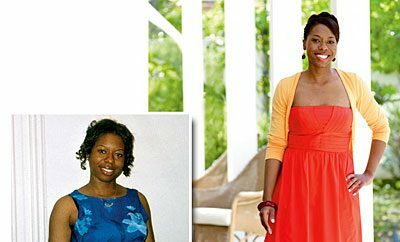 How I Gained It: My weight came from my depression. The depression is what made me overeat. 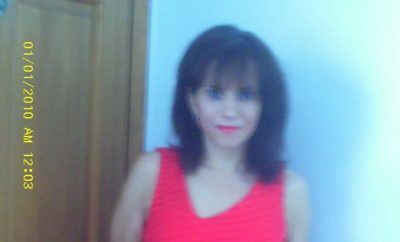 I went through a horrible divorce and lost everything, including my dignity and self-esteem. I began eating and didn’t realize what was happening to my body. I would walk with a cane because my knees hurt. I was so heavy my back hurt, and I was unable to sleep at night. Everything in my life spiraled out of control. When I looked in my mirror I didn’t see a fat girl, I saw a sad one. Breaking Point: I was eating myself to death. I woke up one morning and thought, “Do I really want to die?” I knew that if I kept eating like I was, I would. That day I walked a block. I remember being laughed at and stared at, but I woke up the next morning and did the same thing. How I Lost It: Even just walking half a block, I would be panting and had to sit down. I kept walking a little further. I didn’t realize that I was losing weight, but I could tell some of the fog was lifting from my mind. One day, a fire truck that passed me yelled over their speaker, “Damn girl!” I looked around to see who they were talking to, and realized it was me! On my way home I picked up a scale. I was anxious to see how much I weighed. 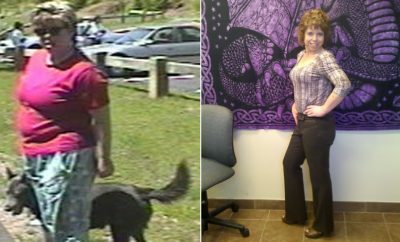 At that point, I had lost 52 pounds. I was on my way. Eventually, I worked up to 15 miles a day. The sun was brighter, and the depression was subsiding. 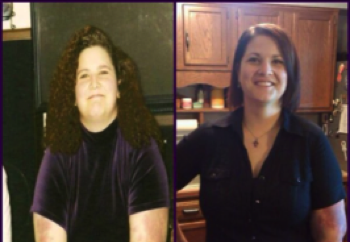 When I finally felt happiness I looked in the mirror — I had lost a total of 150 pounds. Life is good, and I have maintained my weight. I stay away from fried foods, eat more fish and eat all foods in moderation. I still walk daily. As I walked, I became heathy of mind, body and soul. The sun has made me tan and blonde and healthy. I am no longer ashamed of my body. I wear bikinis, and every day a tourist will ask me if I would mind taking a picture with them. I have gone from the “fat girl” to the “beach girl”. I’m happy now. I stop to smell the roses. I realized what is important in life. There is hope. Grab onto it and walk for your life and your health. You look great! One question…was it power walking or regular walking? and for how long?